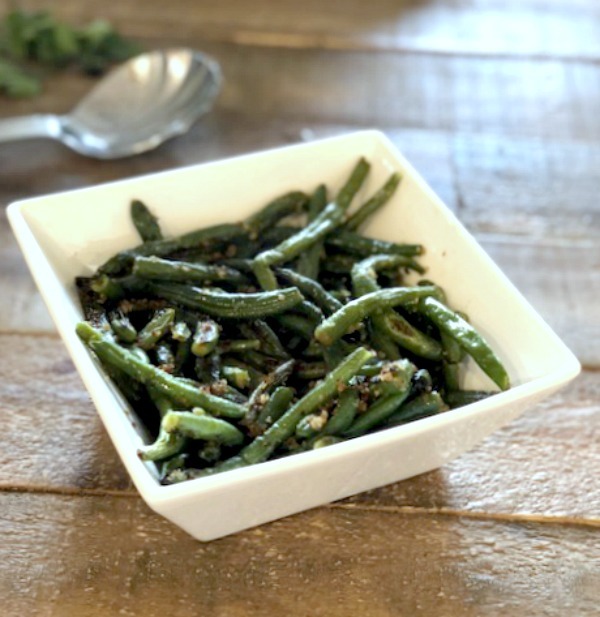 Here’s an simple way to serve green beans. Very tasty with great textures. Totally delicious. Enjoy! In this easy-peasy recipe, browning the butter before tossing with the breadcrumbs produces a nice nutty flavor. 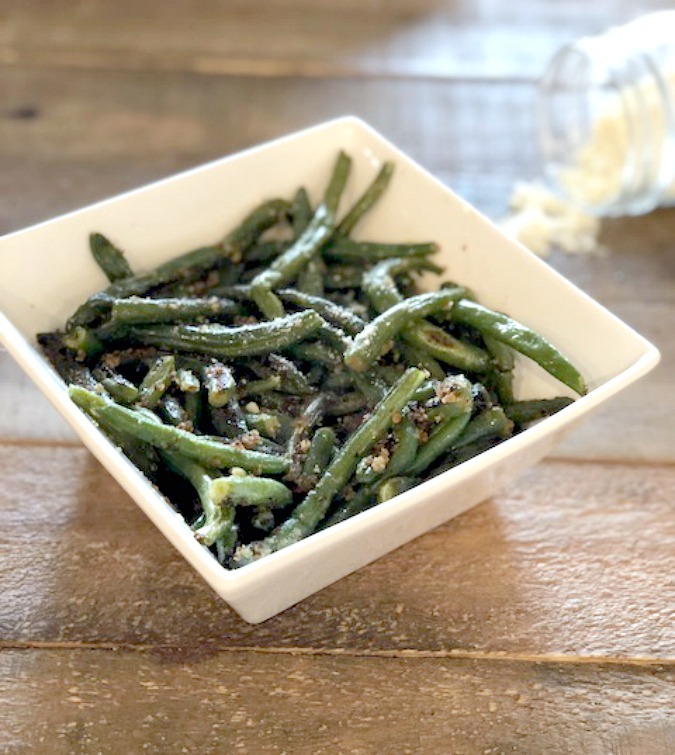 Serve this in place of a green bean casserole. 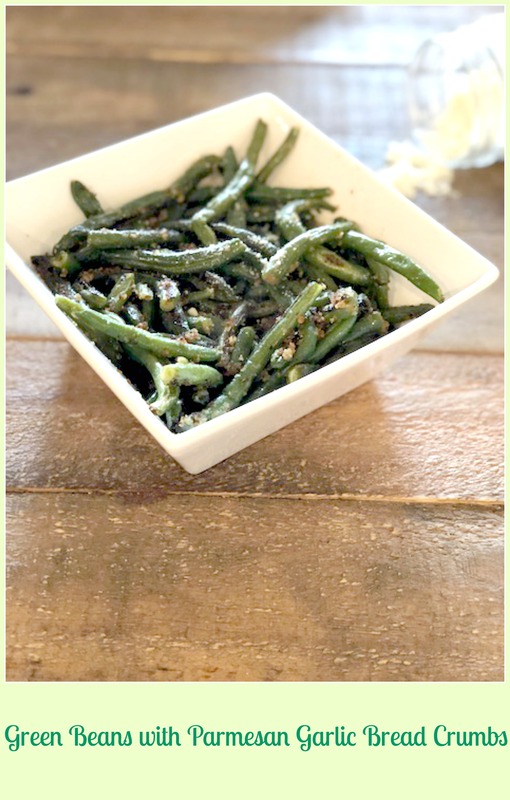 It’s a great way to prepare frozen or fresh green beans. Crispy, crunchy deliciousness. 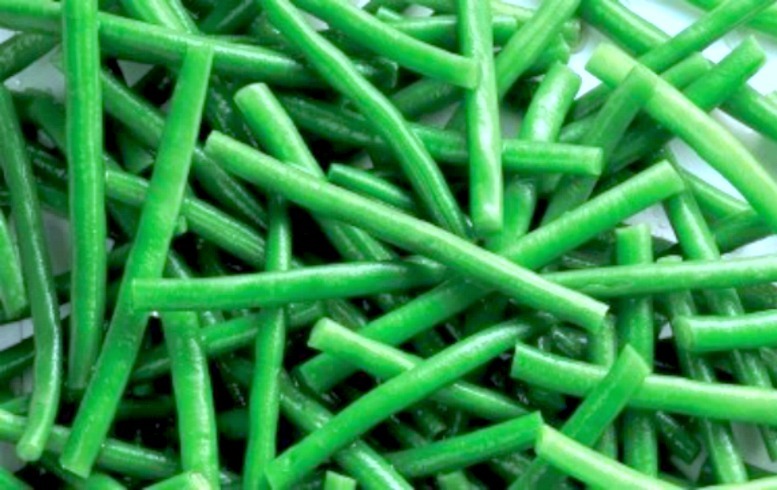 Steam green beans half the time of package. Set aside. In a large non stick pan cook butter and oil over low to medium heat. Add garlic. Stir until you smell the garlic and the butter mixture is starting to brown slightly. Add in bread crumbs and half of the Parmesan cheese. Stir for about 3 minutes or until the bread crumbs start to brown and look crispy. Toss in the beans. If there is any water in the package that’s fine. You can drain some of the water before adding into pan. Add in pepper and salt. Toss until the beans are coated with the breadcrumb mixture. Let the beans pick up some color, they may start to brown. That’s what you want. This only takes a few minutes. Plate up and sprinkle the remaining cheese. A new delicious side dish, Enjoy!